Established in 2003. As the freehold industry in Dubai matured, Diamond Developers shifted its focus towards properties and businesses that not only provide economic and aesthetic value, but do so in a sustainable manner. 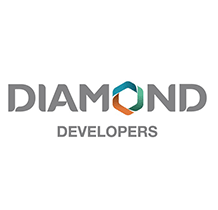 At Diamond Developers, our extraordinary team collectively share a unique vision to spearhead an environmentally, economically, and socially sustainable property sector, providing first-class quality properties and businesses for the Dubai market and beyond. After building the first sustainable development of its kind in the region, Diamond Developers collected a number of awards, including the most sustainable developer of the year by The Gulf Real Estate Awards.